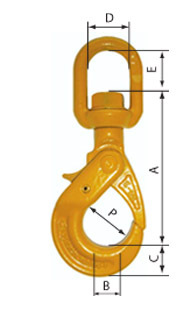 CRO and CRC Grab Hooks are used to shorten or hold a length of chain. 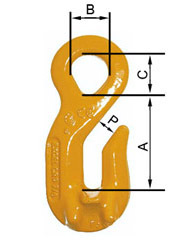 An extra deep, narrow throat engages chain between the links. There is no reduction of the W.L.L. 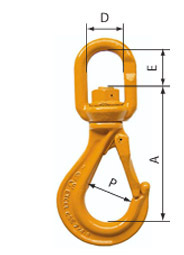 Cradle grab hooks provide better chain support than standard grab hooks. 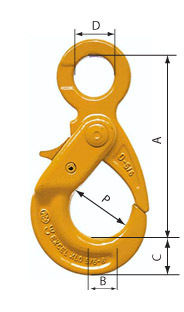 Its specific form makes accidental disengagement of the chain difficult. For intensive use however, we recommend using a shortening clutch (code GC of GCV). 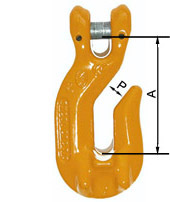 For safe use, a shortener must be assembled to the master link via 3-4 links of chain, and be independent of the loaded chain leg. Code Code W.L.L. Chain ø Dimensions in mm Weight app. smooth easy rotation under load. a flat on the eyes that enables assembly with omega links. All of these hooks have a ball bearing in the swivel as a standard. This feature enables smooth, easy rotation under load. are therefore recommended for the construction industry. 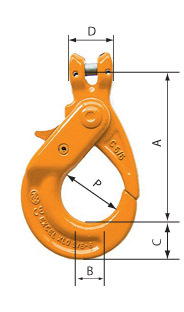 The clevis enables a direct connection to Grade 80 chains. hook). Note: Lifting with the teeth of an excavator is forbidden. 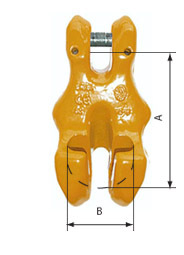 Latches are fitted as standard, to prevent accidental unhooking. 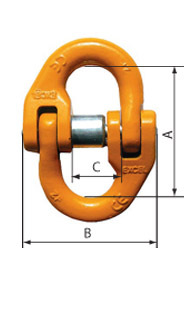 master links and other end fittings to Grade 80 alloy steel chains. Code W.L.L. 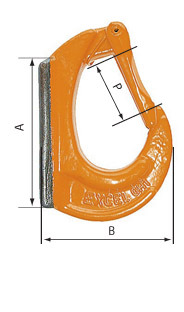 Chain ø Dimensions in mm Weight app.